I recently tried Fedora 29 MATE Edition. What is amazing is that they ship the Adwaida themes inside MATE (and it looks gorgeous). The same goes if I choose the default MATE icon theme. Do you guys have an idea of how we could fix it ? Any chance you can show us what it's supposed to look like? It should display symbolic icons, I guess. I am also experiencing such incoherences with some icon themes. The only one that has worked perfectly, so far, is Papirus. My guess is that the panel always uses the best resolution icon, regardless of whether it is symbolic. Theme support is probably the weakest point of Mate. Indeed, but these incoherences are not present with Fedora MATE (which brings a Vanilla MATE Desktop, except the Fedora Logo). That's why I'm wondering how can this be ? But even with this, the icons are not the good ones and still are weird. Also do you guys know how can we install a Vanilla MATE Desktop on Ubuntu MATE ? That might be a bit tricky since Ubuntu MATE's configuration will still reside in many places. 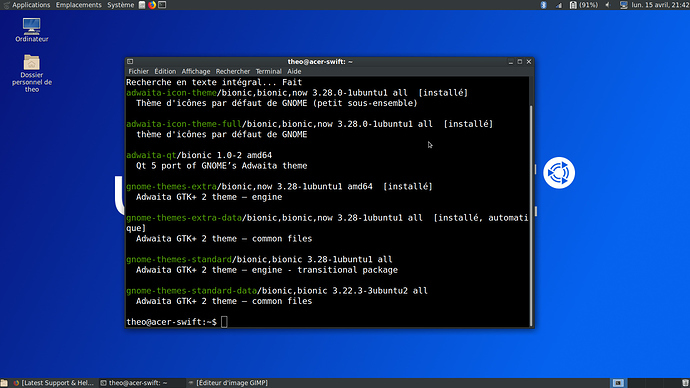 For a vanilla MATE experience on Ubuntu, consider the mini ISO and install the mate-desktop-environment metapackage. I'm not sure what you're calling "strange" icons? The battery one? All icon themes don't have ones for indicators, especially those made for desktops than don't support them. 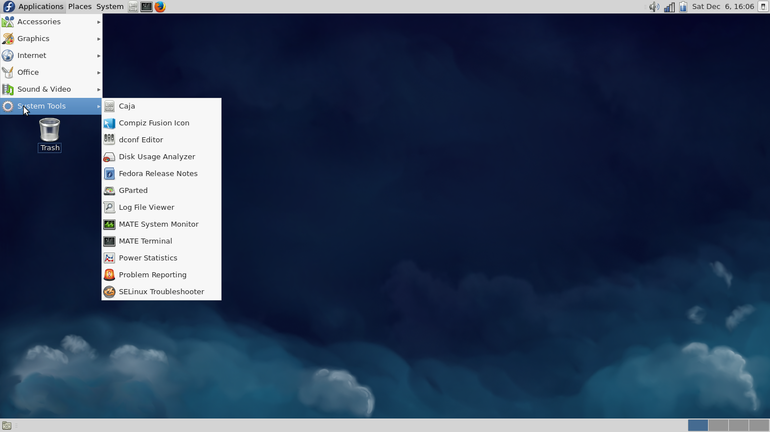 Adwaita is the theme designed by the GNOME 3 team and has icons made for that DE. Some icon themes try to be as complete as possible (e.g. the Papirus theme that someone mentioned) so that they look nice on every DE but it's far from being always the case. No, I disagree with you. Indeed even the MATE Icon theme gives the same weir battery icon. I'm not sure to follow: in your first screenshot, we see a symbolic icon for the battery, which is the one from the Adwaita theme used on GNOME 3. On your second screenshot, we see an "old school" battery icon, which is from the theme that was used in GNOME 2 and that the "official" MATE theme kept. Ubuntu MATE has a specific icon theme (Ambiant/Radiant-MATE), which is based on the Humanity theme from Ubuntu with elements recolored to green and the Ubuntu Mono theme for the indicator icons. Ambiant/Radiant-MATE themes actually inherit both of these themes as it adds only the few green variants icons. That theme is specific to Ubuntu MATE and hasn't been included in other distros AFAIK, that's why on Linux Mint, you'll see differences. IIRC, Mint uses by default a variant of Faenza for its themes (which includes its own indicators icons, BTW), but I guess it also ships with the original MATE theme. On Linux, icon themes work with inheritance/cascading and include children themes in their definition. When the DE can't find an icon in a theme, it'll look for it in the first child theme defined in the index; if it doesn't find it, it'll look into the next child theme, and so on, up to a base set ("hicolor"). There are very few themes that are complete, most of them will fallback to icons from other themes. Those that aim for completion are usually the ones that have a very specific design, like Papirus, Numix, etc. Also, as a sidenote, the icon displayed can depend of the sizes available in a theme and you can have different icons for the same item in a panel when using the same theme if the panel is resized. Also worth mentioning: indicators are not available on all DE (they were made for Unity and have been added to Ubuntu MATE; not sure which other DE use them too) and they don't always use the same icon as other similar applets. It's possible that when comparing two distros (or two DE) when using the exact same theme you have a different icon for an item because one uses an indicator and the other a traditional applet. Final sidenote: themes evolve over time, new icons are added, updated (sometimes removed). The Adwaita theme that you'll see on Fedora 29 might have differences with the Adwaita theme that you'll see on Ubuntu MATE 18.10 or 19.04, simply because it's not at the same version. This can lead too to differences when comparing distros. If you want to learn more about how icon themes work, you can take a look at Freedesktop's theme and naming specifications. If you want to take a deeper look at specific themes, see which icons they include, which ones are inherited from a different theme, you can check Icon Library, a tool to visualize the content of a theme. It hasn't been updated in years and isn't available as a package but should still work on current Ubuntu versions. Ubuntu MATE ships with indicators, which replace many of the traditional notification icons. Fedora MATE does not have indicators, which means all the icons that you see are handled by the notifications tray. On that note, actually, a fun pastime of mine is to make Fedora (which I use for work) look/behave exactly like Ubuntu, and Ubuntu (which I use at home) look/behave exactly like Fedora. The latter is easy: change applets, tweak a few gsettings, use BlueMenta theme (I actually prefer the green Menta, though).